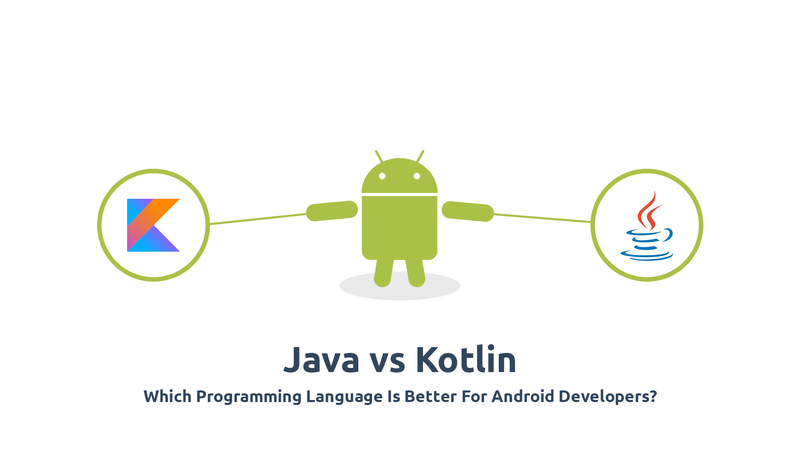 Java vs Kotlin: Which Programming Language Is Better For Android Developers? At this year’s Google I/O, Kotlin – the statically-typed language from JetBrains – became an official language for android (i.e., received the ‘first-class language status’). Initially announced in 2011 and launched in early-2016 – Kotlin is now included in Android Studio 3.0, which was launched last week. In June, Kotlin ranked a perfectly respectable 43rd (on the Tiobe Language Popularity Index) – jumping up from the 80th spot in the previous month. Experts feel that, at this rate, the language can soon break into the list of top-20 languages (in June, Apple’s Swift was at 12th). For switching over from an established language like Java to a new one like Kotlin to be a practically viable proposition, the learning curve for the latter has to be fairly simple (otherwise, the loss of skills and man-hours can be considerable). For experienced Java developers, the Kotlin language brings with it a high degree of familiarity – with things like the coding process for making new classes being nearly identical. Java and Kotlin share a number of syntaxes too, making things easier for developers. In essence, Kotlin can be viewed as an ‘improvement’ on Java, rather than being a full-blown substitute. If a coder is well-versed in Java, that skill and experience will stand him/her in good stead while starting to work with Kotlin. NullPointerExceptions, also known as ‘The Billion Dollar Mistake’, are a constant source of irritation of Android app developers coding with Java. In case a null value is assigned to any of the object references (in Java, any variable can have null value), this exception is thrown. In Kotlin, this problem is kept out of the equation – thanks to its inherent null-safety feature. Unless specially marked as ‘nullable’, no variable in Kotlin code can hold a null value. Even if you make a mistake and do assign a null value, the code will fail at the time of compilation. In non-trivial pieces of code, looking for the cause(s) of NullPointerExceptions can be problematic and time-consuming. Kotlin offers an easy way out of it. A high percentage of Android app makers worldwide work with Java 7 – simply because all the features of Java 8 are not yet available on the platform. The Android plugin has to be updated to v.3.0.0, and after that, users can play around with a limited subset of Java 8 features in the toolchain (after disabling Jack). Type annotations, lambda expressions, and method references are some of the important Java 8 features available on Android (some Java 8 language APIs are also supported). On the other hand, Kotlin captures the best points of procedural and functional programming (Java is still mostly procedural) – offering the latest tools and resources to the developers. It is easily the more modern, lightweight and well-rounded language, and is, hence, widely regarded as an enhancement over Java. The seamless interoperability between Java and Kotlin makes the task of Kotlin beginners that much easier. Within the same project, both Java and Kotlin files can be used – without the risk of any error being thrown. Kotlin libraries can be used in primarily Java projects easily (the reverse is also true). The fact that Java and Kotlin classes can reside simultaneously in the project does away with the need for full project conversion (to Kotlin), or having to start a project from scratch. First-time users of Kotlin can try coding with the new language on a specific part of a project – while keeping the legacy Java codes intact. Later, they can proceed to migrating the Java files to Kotlin (the migration should be one file at a time). There can be the occasional code in Kotlin that is difficult to decipher, although the inherent intuitiveness of the language should give developers some idea in such cases too. Interoperability with Java (extending to advanced Java libraries) is a key factor behind the rising adoption rate of Kotlin. Note: Scala and Clojure are two other languages that are used to build Android apps. While both are JVM-friendly, none of these two have managed to become very popular (although they were launched before Kotlin). By virtue of being one of the oldest open-source programming languages ever, Java has a huge, and highly active, developer community across the globe. Regular updates are available (although they might not be immediately available for Android), and developers can get a lot of codes and references online. The online support for Kotlin cannot come close to matching that for Java, although the newer language is growing at a rapid clip. At last count, there were 2000+ Kotlin-based projects in Github – marking the remarkable rate at which Kotlin is growing. Even so, the probability of hitting a roadblock while coding for an app, with no support available, can be slightly higher for Kotlin-users. In the Java community, help is always available at hand. For carrying out the same function (say, creating a floating action button), the volume of coding required in Java is considerably more than in Kotlin. In general, Kotlin has been designed as a significantly more compact language than Java. With the help of the Kotlin Android Extensions, references can be quickly imported inside Activity files (within Views) – and then, that View can be used in the code as part of the Activity. This, in turn, means that developers do not have re-write the ‘findViewByld’ method for each case. Java does not have this feature – and hence, the amount of boilerplate code included in Java programming is a lot higher than that involved in Kotlin. All that the developer has to do before using the Kotlin extensions is add an additional plugin in the build.gradle file (inside the module). Unlike Java, there is no need for third-party dependency injection tools in Kotlin either. Note: For coding a simple “Hello World” program in Kotlin, no classes or main method(s) are required. Less verbosity also, of course, lowers the probability of manual coding errors as well. Java has checked exceptions (i.e., Android developers have to catch and declare the exceptions), while Kotlin does away with them. There are many programmers who prefer having these checked exceptions – since they can make the code more robust and effective, by putting a definite emphasis on error recovery. However, in lengthy pieces of code, the many Java try/catch blocks can make things cluttered. From that standpoint, the absence of checked exceptions in this language can be viewed as an advantage. Opinions are divided in this regard – and it all boils down to what individual programmers are more comfortable working with. The overall codebase of Kotlin is more idiomatic than Java. Not a major point of concern for small apps – but if the Android application you are working on has a large size, this can be a factor. Professional developers have confirmed that the Kotlin Standard Library increases the average size of .apk files by 800 KB – 1 MB. In Java, there is no such increase in the runtime sizes of .apk files. In select cases, this increased file size can cause issues (end users might consider this while downloading apps that are already ‘heavy’). The relative lack of complex Kotlin examples available online is also holding the language back somewhat. Java has the edge in this context, and Kotlin has plenty of scopes for refinement. Note: With the plugin available in Android SDK 3.0, Kotlin (Java) files can be converted to Java (Kotlin). The Android Studio IDE (integrated development environment) offers holistic support for the Kotlin language, ensuring that Android developers can easily make the switch from Java to the newer language. After installing and setting up the Kotlin plugin in Android Studio, configuring a new project is typically a matter of minutes – while there should not be any problems with initial readability and code compilation either. Right from code navigation and code completion, to refactoring, debugging and unit testing – Android Studio offers full support for all important activities in Kotlin. Converting complete source files written in Java to Kotlin is also a breeze. Developers, of course, have to ensure that there are no code losses and/or data corruption during such conversions. Incidentally, both Intellij (the base of Android Studio) and Kotlin have been created by JetBrains. Java offers built-in support for implicit widening conversions with numbers. This keeps things straightforward. While coding in Kotlin though, Android developers have to go through the whole hog of performing similar conversions explicitly (implicit conversions are not supported) – every time a Byte value has to be assigned to an Int variable. In the Java framework, the smaller data types are converted to larger types under the hood – which is both quicker and simpler. Add to that the considerable mindshare that Java still enjoys (there is a certain feel of stability while using an old, ‘tried-and-tested’ language) – and it becomes pretty much apparent that the popularity of Java is not going to drop off drastically anytime soon. With the arrival of Java 8, support was finally extended for lambdas. However, as already mentioned earlier, all its features are not available to Android developers – who generally have to work with Java 6 or Java 7. In Kotlin, things are a lot more developer-friendly – with variables able to store functions for use later on. Lambdas, which are created by passing functions as expressions without declaring it (implicitly or explicitly) are supported in Kotlin, along with other higher-order functions (functions taken as parameters), like callback functions. Since Java does not support these, developers have to create a new interface and implement it separately (in Kotlin, there is only a handful of parameter functions). The conciseness of Kotlin becomes apparent while handling data classes. Unlike Java, where large volumes of boilerplate code has to be written for the different classes which only contain data, Kotlin allows users to perform the same function – simply by adding a keyword (‘data’) inside the class definition. Instead of having to create new fields and constructors for data storage (in Java), all ‘getters/setters’ are auto-generated by the compiler (in Kotlin). A common bone of concern among many Android app developers working with Java is the extra garbage collection – which often renders the code less than optimally efficient. The problem gets particularly pronounced in instances of lengthy programs. Kotlin comes across as a better alternative – removing such problematic garbage collection (the garbage collector, of course, depends on the runtime, and not on the underlying programming language per se). What’s more – there are several XML-related pain points in Java, which can be removed in Kotlin – thanks to the Kotlin source file named Anko Library. Note: The extension functions of Kotlin help in creating clean, easy-to-understand APIs. Also known as ‘implicit delegation’, this is a unique feature that gives Kotlin a further boost. Operations can be delegated by received objects to other ‘delegate’ objects (helper objects) – which means that the language itself follows the ‘delegation over inheritance’ rule of thumb. Code duplication (say, on the setters and getters of different properties) can be avoided with the delegated ‘properties’ of Kotlin – while multiple inheritance is also made possible. In addition, Kotlin also renders the task of type-checking before casting objects (in certain cases) unnecessary. The smart casts of Kotlin ensure that objects that are already checked with the ‘is’ operator do not have to be casted again inside statements. In other words, the redundancy in casting gets removed. Java is still the ‘faster’ language – with tests revealing that it has, on average, ~13% faster compilation speeds (with Gradle) than Kotlin (14.2 seconds vs 16.6 seconds). However, this difference of speeds is only for full bields. Since mobile app developers generally keep compiling codes after making certain changes – the more important parameter over here is the incremental speed of compiling (version 1.0.2 of Kotlin has incremental building). Now, the speed advantage of Java more or less disappears, with Kotlin either being at par, or even just a bit faster, for partial builds with incremental compilation. Summing up, Java performs ‘clean builds’ more quickly – but the two languages are similar (Kotlin might even have a slight advantage) in case of partial builds. Android is a single-thread platform. In case this main thread is interrupted in any way (say, due to an intensive network I/O operation) – the UI of the app is likely to freeze, till the operation is completed. To avoid this problem, Java makes it necessary for developers to create background thread(s). This has a potentially serious downside – in the form of problems/confusions while managing multiple threads. Kotlin offers the smarter solution through coroutines. Executions can be suspended while performing the intensive operation, and resumed later – and the main thread does not get blocked at any point (the execution is generally restarted on a separate thread). Putting it in another way, Kotlin allows the creation of non-interrupting asynchronous codes, with coroutines being an important utility feature for developers. Already, many Java libraries have started to provide Kotlin extensions (RxKotlin is a classic example). This, expectedly, is pulling up the usability of Kotlin. The language is further boosted by the built-in support for all important Java libraries and frameworks. It is still advisable for newbie Android developers to learn Java first, and then attempt the switch to Kotlin (type aliases and immutability are two more USPs). The former scores over Kotlin on a couple of factors (the huge community support is perhaps the biggest) – but Kotlin is closing in, and it does offer a fair few advantages over Java. Which programming language do you prefer? Let us know in comments! In a recent PwC survey in the United States, around 73% prominent business leaders opined that artificial intelligence will be the biggest game-changer – something that delivers significant competitive advantage – in the foreseeable future. Nearly 40% of the respondents are looking out for suitable identification and designing solutions for enterprise AI deployment – while a large group of businesses are currently carrying out various types of AI-related researches. In a separate study (with 146 respondents), it was found that ~80% entrepreneurs are prepared to make significant investments on AI technologies in 2018 (a large number of ‘Proofs-of-Concept’ are being evaluated; many of them are already live). 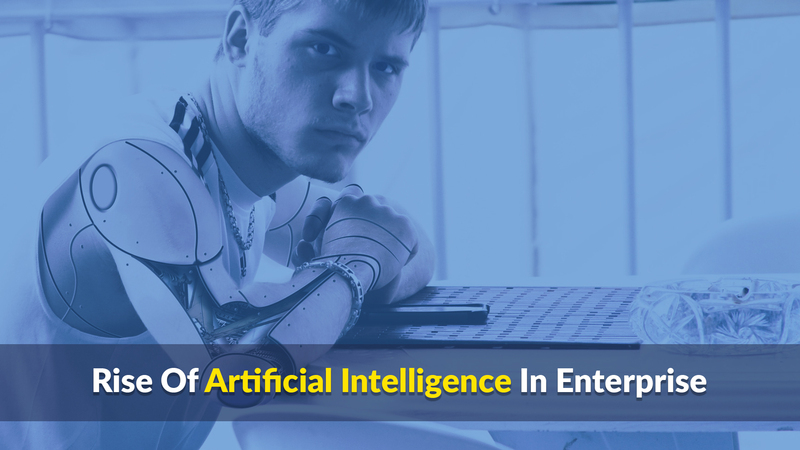 A measly 3% of all enterprises are not yet aware of the concept of artificial intelligence – although there are several companies (22%) which do not have the budget/financial means to integrate AI systems in business IT. While most discussions revolve around how AI is revolutionizing the world – it is not a technology per se. Instead, think of it as an ‘umbrella layer’ or a ‘horizontal enabling layer’, which contains a large number of cutting-edge technologies. These include machine learning and deep learning, natural language processing (NLP) and natural language generation, decision management systems, biometrics tools, text analytics, robotics process automation, software and hardware platforms (for both ML and DL), and other related tools. When an enterprise opts for AI, it does not purchase or implement the ‘entire package’. Instead, it looks for the technology(ies) that would deliver the maximum value for business (ROI). Virtual agents (referred to as ‘the current darling of the media’ by Forrester) are yet another popular example of AI-tools that have made a difference (think Siri, or Alexa, or Cortana). AI-powered chatbots are also witnessing healthy adoption rates. All the technologies are, in their own way, geared to automate processes, increase operational speeds, and deliver optimal results. By the end of this year, the value of the global enterprise market will touch the $3.5 trillion mark. Artificial intelligence and machine learning are affecting an ever-increasing share of the overall market – and interestingly, nearly all the important sub-domains of enterprise are being transformed by the technology. Right from security & risk handling, business intelligence, knowledge processing, productivity management and data science management, to B2B digital marketing/sales, e-commerce, finance operations, manufacturing, customer management, and even drones and (maybe) robots – AI is making its presence felt practically everywhere. This growth is being fueled by the fact that the number of AI vendors/AI companies are rising rapidly across the globe. At last count, the total number of AI startups had crossed the 2250 mark – and remarkably, almost half of these startups have been launched in the last 2-3 years. Data is the backbone of all artificial intelligence technologies. The so-called ‘AI winter’ – during which excitements over AI were seemingly slowing down – was primarily caused by the fact that most enterprises did not know what to do with the accumulated data (for many businesses, labeling the available unstructured data was also a considerable challenge). As machine learning technologies evolved, data could finally be used for predictive purposes. However, as we step into the next phase of AI development for enterprises, ML is not going to be sufficient in itself – and efficient ‘machine intelligence’ (MI) will become the more important capability. While ‘machine learning’ can estimate/predict that ‘X’ units will be produced this quarter or ‘Y’ number of shipments will be made in a year – ‘machine intelligence’ goes a step further, and delivers deeper insight into the ‘why’ factor – the causes behind these estimates, and whether (& how) such predictions can be modified. The focus is firmly on doing more with big data – and machine intelligence has big capabilities in this context. Where are the AI investments being made? As we enter into the ‘golden age of enterprise AI applications’ – with mounting investments by businesses in a bid to gain greater tractions in terms of quality, productivity, scalability, and efficiency – ‘machine learning applications’ have a clear lead over other technologies (with $3.5 billion funding). The next three spots are occupied by ‘natural language processing’, ‘smart robots’, and ‘machine learning platforms’ – with ~$1 billion investments on them respectively. Tools like ‘image recognition platforms/applications’, ‘speech recognition’ and ‘virtual agents’ also attract healthy investments from enterprises. Slightly surprisingly though, the least interest (in terms of investments) is on ‘video content recognition’ and ‘speech to speech translation’. Over the next half a decade or so, these technologies are also expected to push upwards. The technical capabilities available – high-end ML and DL platforms, advanced algorithms and seriously high computing power (by 2020, we are looking at ubiquitous workplace robots and ‘speed-of-light’ computing power) – might be top-notch, but enterprises that do not have a data-driven culture are not going to make much headway in the AI space. Any company that is serious about implementing artificial intelligence in its existing IT infrastructure simply must have a proper team of chief data officers (CDOs), data scientists, domain experts, information engineers, statisticians and other such experienced professionals – who can i) understand and effectively analyze the huge volumes of data, and ii) collaborate with customers, decision-makers and fellow employees properly. These ‘data professionals’ will have to work with enterprise app developers, in order to chalk out plans of integrating AI and ‘intelligent’ data flow in new applications. The onus of testing software tools and frameworks, along with the capabilities of different AI services, will also be on these ‘data experts’. The recruitment, training and talent-sourcing processes in enterprises have to be suitably modified. There are many use-cases of high-end application program interfaces (APIs) being used for streamlining in-house business AI projects. A classic example regarding this would be Ocado – which has successfully brought together robust cloud APis with Google TensorFlow – in a bid to manage the high daily volumes of customer emails received by the company. There is also considerable buzz over how the company has plans to ditch traditional packing procedures with barcode scanning, in favour of ‘intelligent AI vision’ practices. ML algorithms are being implemented within both end-user apps (e.g., Google Home) as well as other enterprise tools (e.g., routing applications). APIs can be used to make apps ‘smarter’ in a myriad of ways – like integration of NLP, or video search, or text-to-speech/speech-to-text capabilities. The scopes for switching over to AI-based tools and solutions is uniformly high across the board, and more innovative deployments should become active in 2018. Given the potentially substantial advantages of AI technologies in the enterprise domain, it can be safely said that these will continue to grow in popularity over the next few years. Applications with built-in artificial intelligence can give current enterprise IT setups a total makeover – with agile software development and release, ‘intelligent’ data diagnostics, rapid and accurate processing standards, process dissipations, and holistic digital experiences for users. There are considerable benefits from the financial perspective too. By bolstering the overall efficiency of operational flows and bringing down the cost of manpower maintenance/management, AI will be able to help US-based businesses save up to $60 billion. AI tech is finding acceptance in different industrial sectors – led by finance and insurance (understandably, with financial data management and fraud detection being key activities), along with medical and healthcare, education, manufacturing and transportation. Predictive maintenance systems have made it possible for businesses to follow ‘just-in-time (JIT) maintenance’ standards. Inventory levels, hence, can be trimmed – and that has been a big advantage as well. The importance of AI solutions is healthcare is underlined by the fact that the technology yields a massive $2250 million from customized processing of patient data, with built-in scalability. However, it is far from being the most common AI use case in business software applications. The top spot in this regard would go to algorithm-based improvement of trading strategy performance use cases (revenue $2400) – with static image recognition and tagging occupying the second spot. Other common, and significantly revenue-yielding use cases of AI-powered enterprise software applications include social media content distribution, text queries of images, object detection/identification/classification, and predictive maintenance. As organizations ‘learn’ to optimally deploy AI technologies, more and more new use cases are sprouting, and revenues are skyrocketing. It has widely been speculated that large-scale implementation of automated solutions (say, chatbots) will result in huge loss of employment worldwide. This is, truth be said, only partially true – since the human element is still going to be required to control all the gadgets and algorithms and software (even when machines are ‘intelligent’ enough to not require any prior programming). As highlighted in an earlier, without the ultimate control in the hands of capable human data experts/scientists, the technology itself is hardly going to be of any use. There will be some labor-displacement though – thanks to focus of AI on making all menial, repetitive human activities automated and smarter. As AI becomes mainstream in the next 4-6 years, low-level employees might find themselves out of work (‘replaced’ by the considerably more efficient machines). AI is not going to affect those working at the top rungs of enterprise IT and management systems. Unless we are talking about a dystopian future, AI machines and robots are not going to order human beings around anytime soon! The spurt in the growth of AI solutions for enterprise is boosting another form of innovation – in the form of cognitive computing (through a combination of AI and signal processing capabilities). These fully autonomous computing systems do not require pre-programming, and have – in varying degrees – 4 key abilities – ‘to sense’ (through IoT ‘sense-and-respond’ networks), ‘to learn’ (by drawing ‘informed’ conclusions by making use of past data/experiences), ‘to infer’ (by working just like the human brain, with the help of powerful AI algorithms), and ‘to interact’ (via custom natural language interfaces through gesture, voice or touch). By the end of 2020, cognitive computing will be a $13.7 billion market globally – and it has tremendous potentials of taking enterprise operations and applications to an altogether higher level. In less than five years from now, 4 out of every 10 enterprise apps will have AI and ML capabilities. Adoption of ‘intelligent’ technologies are helping enterprises seamlessly move over from the traditional ‘system-of-record’ infrastructure, to a much more efficient ‘system-of-intelligence’ network – with apps, APIs, platforms and priority systems. Such ‘Intelligent App Stacks’ will have favourable effects on the entire value chain of organizations – pulling up overall ROI figures and limiting unnecessary expenses. An ‘intelligent’ enterprise app can easily influence customer behaviour, push out real-time updates, generate personalized responses, and perform a host of other high-end functions. Over the next few years, both infrastructure-as-a-service (IaaS) and machine learning-as-a-service (MLaaS) are going to become increasingly mainstream. Given the range of opportunities and capabilities that enterprise AI opens up, the mounting interest of the biggest tech players in the technology does not come as a surprise. From IBM (with Watson) and Google (with the $400 million acquisition of DeepMind), to Microsoft (with its venture capital startup for AI), Facebook (AI-powered photo narration on the iOS app) and Uber (with last year’s acquisition of Geometric Intelligence) – all the market leaders are investing on artificial intelligence in a big way. We are still a long way off from making robots or machines that surpass (or even match) human intelligence on their own – but AI-powered solutions are certainly poised to change enterprise software as we know it. By the end of this decade, the daily count of B2B and B2C transactions online will move past 450 billion. The total volume of big data worldwide has been estimated to show a 50% jump in 2020 (compared to 2015) – with the annual growth hovering around the 39% mark. In the next year, the application of big data will continue to spread to different business sectors – manufacturing and finance and healthcare and automation – and the benefits of optimized big data analysis will become more and more prominent. The steadily growing popularity of Hadoop (thanks to the recent improvements in both accessibility as well as overall performance) has made it possible to carry out detailed analytics reports on big data. A recent report suggests that close to 90% users are now able to examine critical data in more detail – while data retention has also gone up to 82%. In future, big data will drive all important predictions and estimations, and will add an additional layer of ‘smartness’ to business intelligence (BI). Cisco and IBM have already come together (with Watson) to push the limits of Internet of Things (IoT) with edge computing/fog computing. It can be reasonably expected that hardware capabilities and software-based innovations will continue to pick up momentum in 2018. The remarkable increases in both the volume and the speed of transactions are making real-time data responses essential in many cases – and that, in turn, is pushing up the demand for edge computing (there are several instances where transferring the data to the cloud (and back) is neither feasible nor efficient). More than 5.5 billion IoT devices will be actively used for edge analytics and computing by the government and enterprises (cumulatively), by 2020. We are coming towards the end of the experimentation phase with IoT – the ‘Internet of Everything’ might well start picking up pace from next year on. Note: The International Conference on Edge Computing will be held at Seattle, from the 25th to the 30th of June 2018. In 2015, vendors of low code platforms earned just a tad over $1.7 billion in revenue. By the middle of 2018, that figure is set to soar to more than $6.1 billion – and the revenues will move beyond the $10 billion mark by the end of 2019. The adoption of full-featured low code platforms is being particularly fueled by the shortage of qualified software developers worldwide (as per a Forrester report, 83% recruiters have reported such shortage). These platforms typically have intuitive drag-and-drop features and simplistic visual designs – enabling general users to create applications quickly (the process can be 10 times quicker than traditional development methods) and efficiently. With investments on digital transformations going up all the time, the collaborations between IT and businesses is getting stronger – and transformative enterprise software like these low-code platforms are witnessing spikes in number of users. 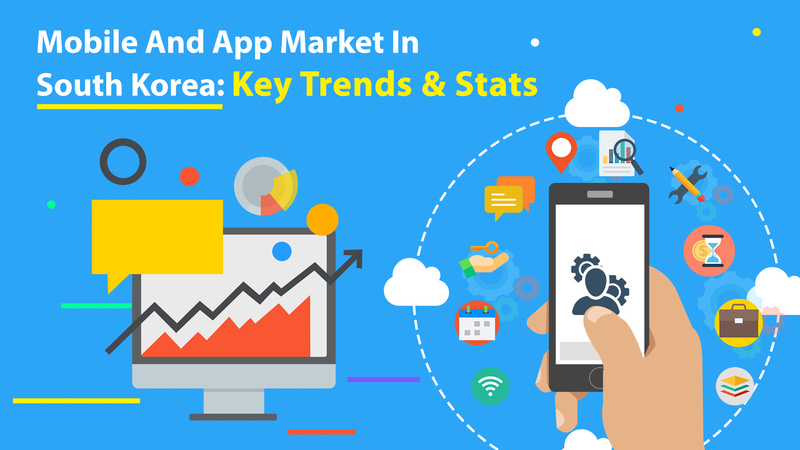 Note: Mendix, Appian, Zoho Creator and Google App Maker are some of the popular low code platforms at present. Within the first three months of its launch (in July 2016), Pokemon Go had managed to deliver a whopping $600 million in mobile augmented reality (AR) alone. Interestingly, it is wide expected that AR growth will start to outpace growth in virtual reality (VR) from 2018 (VR was the dominant segment in 2016 and 2017) – and this trend will continue, with AR taking up 80%+ share by 2021. With the help of cutting-edge 3D visualization methods, enterprises are making their marketing campaigns (training, pitching and product envisioning) more engaging and effective than ever before. What’s more, basic AR applications are also not as expensive as VR tools and headsets – and this factor is providing a further boost to the former. Mobile AR will consolidate its position as the leader in the $108 billion global VR/AR market in 2021. For reaching out to the masses (i.e., large scale commercialization) – there is a need for a ‘hero device’ with AR though – and the fact that the recently released iOS 11 platform has built-in ARKit indicates that thinking on these lines is already underway. Note: Building a strong AR-based ecosystem and ensuring seamless mobile connectivity are key challenges in this context. In 2018 and beyond, VR will also continue to grow – but all eyes will be on the performance of AR. From marketing communications and mobile personal assistants (Siri, Google Now, Cortana, Alexa), to smart, automated chatbots and tools to deliver personalized user-experiences on digital platforms – artificial intelligence (AI) has started to make its presence felt in myriad walks of life. Over the next few quarters, experts are likely to ramp up work on the implementation of AI for robotics, data analytics, and of course, customer servicing. Market leaders like Amazon and Netflix have shown that the ability to offer customized solutions/recommendations/display results to end-users can be THE most important factor between success and failure – and it is precisely over here that AI can make a difference. There is also a definite trend towards using open development practices to enable ‘cognitive computing’ wherever possible, with the help of AI platforms like Cortana Intelligence Suite and Amazon AI. In 2018, expect developers to move away from closed-system tools and solutions – where AI cannot be easily integrated. The total market size for AI will nearly double on a YoY basis ($4066 million in 2018; $2420 million in 2017). Artificial intelligence will be ‘all around us’, so to speak. Note: AI will also be at the core of the self-driving Uber vehicles, and the proposed drone technology by Amazon. We are not likely to see final prototypes of these before 2019, however. The value of the ongoing technological disruptions and innovations is not lost on leading companies. At the start of this year, a massive 87% of all Global 2000 companies reported that they either were already had digital transformation projects underway – or had plans to start them soon. By the next year, these tech disruptions will start to have a modifying effect on organizational workflows and charts too . 6 out of every 10 of the companies are setting up new cross-functional units to monitor, maintain and operate the digital transformations/innovations. In general, the global digital economy will grow by an impressive 26% in the 2016-2021 period (in the same time, the growth in the non-digital economy will be a much more modest 8%). Note: Digital development has also been cited as a proven productivity multiplier. For every 1-point growth in digital density (combining digital skills, accelerators and technologies), factor productivity levels can go up by 0.04% in the developed countries. Digital transformation is too broad a topic to focus solely on improving customer experience (CX) levels. While that remains a critical factor, the objectives of the tech transformations will become increasingly diversified in the next few years – to ensure that all the dimensions of business are taken under its purview. Nearly 8 out of every 10 respondents in a survey earlier this year stated that their digital transformation projects do not put the spotlight only on CX-optimization. Instead, the focus is shifting towards integrating agility, business logic and efficiency at each and every stage of corporate operations. Once the overall operational processes are fully optimized, CX levels will automatically be bolstered. Developers will take a broader view of things, to improve overall user end-experience of a product, rather than wasting time on single tasks/screens/processes. Note: Performance, reliability, speed and security are all key elements of CX. In 2018 and later, the emphasis will squarely be on improving all of these elements – preferably with the help of past experiences of customers. We are slowly but surely moving away from the traditional ‘9-to-5’ workplace regime. The demands among employees for flexible working hours and ‘work-from-home’ options are pretty much well-documented. Yet another fascinating trend has been the steady growth in the number of remote workplaces. Two factors are primarily driving this growth – firstly, the launch of overseas branches/chapters of many companies, and secondly, the growing number of ‘virtual companies’ (75 in 2015; 125+ in 2016). It has also been projected that nearly 50% of the total workforce in the United States will be working remotely, by the turn of this decade. In 2018, we should witness a steady rise in the number of such remote workplaces – and that, in turn, will pull up the importance of high-end business collaboration tools, chat and video platforms on the cloud, and endpoint/device security solutions. Workers will actively start to look for jobs that give them the opportunity to work remotely. Many enterprises have also reported that remote workplaces have the potential to pull up productivity levels. Note: In March this year, IBM bucked the trend by calling back its remote workers to office. In general though, the number of remote workplaces will go on increasing in the foreseeable future. In the enterprise domain, the importance of mobile apps (‘appification’) is immense. Experts from the field of software and app development agree that apps can boost employee engagement levels in a big way, thereby opening up chances of higher productivity levels becoming achievable. Rather startlingly, nearly 88% of employees across the world are not engaged enough to their respective jobs – and the employers are either not aware of the problem, or have done nothing about. From 2018, things should get a makeover – with mobile social platforms, apps and gamification all likely to get employees involved and ‘into the fold’. Collaboration, communication and performance will be the three main pillars of such digital employee engagement. In addition, enterprise API strategies will also be validated by the apps – with the user-experience data collected by the latter likely to offer useful insights. By 2020, US-based companies will be spending $660 per year for API management (up by 371% over 2014). API-enabled enterprise solutions will continue to grow smarter. Note: In terms of EPS, companies with highly engaged employees generate nearly 150% higher returns than than their competitors. This explains the demand for apps/APIs to bolster worker engagements. We have earlier highlighted the growing importance of edge computing. That, however, is not going to slacken the importance of robust cloud services in any way. More than 60% of all CRM software tools will be powered by cloud computing by the end of 2018 – with the overall size of the market set to touch $128 billion (the 2014-2018 CAGR will be a shade under 23%). By 2020, the lion’s share of all data center traffic (~92%) will be stored on, and accessed from, the cloud. The benefits of cloud services in the context of digital transformation will be manifold – from bringing down data management and operational costs, to making business processes agile, ensuring data security and superior backend connectivity for apps, offering greater operational scalability and bringing down the time-to-market spans. Both public and private sector companies are relying on cloud resources for secure data storage. Note: Last month, Huawei announced ‘Enterprise Intelligence’ – an all-new enterprise cloud platform powered by artificial intelligence. The vast increases in the big data volumes and transactions will automatically create a need for higher data/network speeds – and this is precisely where 5G will start to step up. Although 5G-enabled smartphones are not expected to arrive before 2019 (according to a Qualcomm report) – interest on the new technology will continue to surge next year, as more and more use cases arise where existing 4G speeds cannot cope up. The capabilities of the breakthrough Gigabit LTE technology were showcased earlier this year on the Sony Xperia XZ Premium – and 5G is expected to take things to an altogether higher level (with ~10GB/s download speeds, it will be considerably faster than 4G). More players are expected to join the 5G revolution in 2018 (in addition to Qualcomm) – and although there might be initial snags, we will be moving closer to faster, better network speeds and performance. Note: This year, Samsung has also been active in the 5G domain, collaborating with leading providers like SK Telecom, AT&T, Arqiva and Charter Communications. The blockchain open, distributed ledger technology (DLT) is growing – albeit at a sedate pace – across industries (the finance sector, understandably, have been the first adopters). In February 2017, ‘blockchain’ was reported as the second-most frequently searched term on the Gartner website – with the annual growth in the search volume skyrocketing by more than 400%. Over the next couple of years or so, many new and interesting use cases for blockchain deployment will emerge – from different business sectors. Blockchain startups will be funded by interested venture capitalists, and the technology itself will become faster, more reliable and more scalable. The adoption of blockchain technology in developing/emerging markets will grow too. Note: Blockchain has a role to play in the creation of smart cities too, with Dubai set to be managed by the world’s first-ever blockchain-powered government in 2020. The graduation event of Ethereum blockchain developers was recently held there. From backend-as-service (BaaS and mBaaS) and infrastructure-as-a-service (IaaS), to software-as-a-service (SaaS) and platform-as-a-service (PaaS) – the ‘as-a-service’ markets are growing exponentially. With the advancements in infrastructure, software and technical capabilities brought about by the digital disruptions – more types of ‘aaS’ are likely to become available within the next few years. Things like workplace-as-a-service (WaaS) and unified-communications-as-a-service (UaaS) will become increasingly mainstream. There will be greater focus on failed cases of service delivery (although expecting ‘failure-as-a-service’ to become an actual thing will probably be too far-fetched) as well. The onus will be on companies to track failures, learn from them, and make their ‘aaS’ operations properly optimized and efficient. The growing demand for new and customized business apps, together with the relative paucity of developers, is boosting the concept of ‘citizen development’. These so-called ‘citizen developers’ use low-code platforms to create the applications that they require. A survey found that 7 out every 10 IT entrepreneurs are looking for tools to manage these developers – and in 2018, research on this will continue. There is also a lot of buzz over Apple AR smart glasses – with the Cupertino company announcing a patent earlier this year. 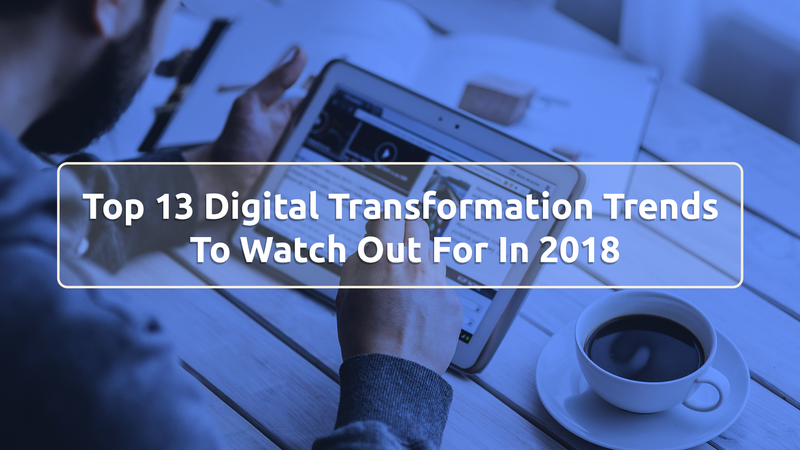 While 2018 will witness a wide range of data transformations and disruptions – the most important thing will not be the tech per se. Instead, the way in which these transformations affect the everyday operations of businesses (or lives of individuals, for that matter) will be the main point of interest. Technology is constantly evolving, and there’s a lot of ‘new’ things to watch out for next year. Nopes, we are not talking about creating a mobile job portal. Instead, there can be a customized application which will contain likely interview questions (and their answers), meanings and definitions of key items in different industries, and other such updated information. Fellow job-seekers will be able to interact with each other via real-time chat or messaging. All that a user will have to do is enter his/her field/discipline in the app – and the latter would throw up all the data that would increase his/her chances of bagging the right job. Apart from mobile, this app should ideally be made available on the web too. What does the Uber app do? That’s right – it helps you book cabs quickly, so that commutes become easy and safe. Now think of it this way…you need to walk over a fairly reasonable distance (say, to the local market, or to a relative’s house nearby) – but are not quite in the mood for trudging along alone. This app will help you find a ‘walking partner’/’walker’ who is also heading in the same general direction, and would like to accompany you. It won’t be a paid service, and the sole motive for signing up as a companion would be the fun of making new acquaintances. For elderly people, such a ‘walk buddy’ app would help from the security perspective too. The app will be powered by GPS technology, and every registered user will be verified on it. For a patient in critical condition, every minute is crucial. It takes a fair bit of time to complete all the formalities of getting admitted to a nursing home – and then, the doctor(s) have to be brought up-to-date with the case histories, before a course of treatment can be decided. The whole process can be made more agile and streamlined if there was a dedicated app – on which medical interns/house physicians can enter patient details…as and when the latter are being admitted. Real-time notifications will be sent to doctors when new admissions are done and new case records are added. Going through the records will help the doctors to come prepared, so that the treatment can start at once. For an app like this, strong server-side support (BaaS) will be essential, particularly for maintaining and updating the case record databases. Nothing is quite as frustrating as gearing up for a grand weekend lunch at a top restaurant – only to find that there are no tables available, and the waiting time is likely to run into hours. To avoid such inconveniences, there can be an iPhone app that would display the occupancy rates at all the leading restaurants in the city – both in figure, as well as in the form of graphical layout/floor map. Users will be able to book tables directly from the app as well – which would be mighty useful in case a particular eating joint is shown to be in ‘fast-filling’ mode. Calling the restaurant to know about seat availability will no longer be required. With the arrival of ARKit in iOS 11, the horizon has really opened up for third-party app developers to integrate augmented reality in their new line of applications. Moving away from games like Pokemon Go for the moment, the concept of creating an information-rich customizable environment AR app seems interesting. With the app, professional eco-experts as well as general users will be able to get first-hand visual information on the various environmental parameters (for instance, degree of chemical contamination) in different facilities. The app will be targeted towards government officials and/or agents from environment agencies (interested citizens will also be able to sign up). It can be made available on both iOS and Android. Once again, we are not proposing to add to the already long line of fitness and activity apps already available in stores. The way in which this app will work will be unique: before eating a savory item (a particularly sinful chocolate cream cake, for example! ), the user will take a snap of it and upload it on the app. The software would instantaneously throw up the activity required to get rid of the extra calories that will be gained by enjoying the food item (like, ‘1.5km jogging and climbing 45 stairs’). In essence, the app will be like a cheat sheet for people who love to gastronomically indulge themselves – but do not wish to compromise upon…well…the size of their waistlines. Many people love to have aquariums in their homes, but have precious little idea on a) how to hygienically maintain them, and b) how to set up the aquarium landscaping. This mobile application will come to the aid of such people. It will have built-in lists of the different kinds of aquarium plants, sand, gravel, lighting systems and even fish varieties. Users will be able to add their favourite elements – and check out detailed 3D views of their virtual aquariums. Information about the sustainability of each virtual aquarium will also be provided. With a tool like React Native, this idea can very well be transformed into a cross-platform app. This idea can be worked upon as a IVR system as well as an iPad application. The user will be able to speak and record messages (seeking information about a particular service) in his/her local language – and the app would translate the message into another language and deliver it to the operator/service provider. Now, the latter will provide the response – which, once again, will be translated back to the language of the initial user. The translation software that will form the base of this app will have to be very high on both accuracy and promptitude (big lags between sending a message and receiving a response would defeat the purpose of the app). The app is likely to be very useful for people in a foreign country who need to urgently communicate with the locals, but do not know the language of the land. Ever wondered whether your four-legged buddy is getting the ideal amount of playing exercise (walking/playing)? Is the food you are giving your dog or cat actually nutritious for the animal? Is a visit to the vet needed? On a new pet care app that will offer end-to-end information, you will get all of these information – and then much more. The app will be compatible with third-party fitness trackers, to record the activity levels of your canine/feline friend. Pet-owners shall receive notifications and reminders, to go for appointments with vets. Including real-time chat feature will also be a great option for creating an active community of pet-owners/lovers in the app – facilitating information-sharing among the users. In case a pet animal passes on to the other side, the app will also inform its owner about the procedure to get its death certificate. Online classified ads and lengthy searches through job portals for graphic designers would take a backseat – with the launch of this application (ideally, on iOS first, and then on Android). People will be able to sign up and post their design requirements on the app. All interested designers will receive notifications about the new job posting, and they will be able to bid on the project (alternatively, only one of them will be able to ‘accept’ the project, with the posting becoming invisible after that). As is pretty much evident, users will be able to sign up in either ‘I need a designer’ or ‘I want to design’ modes. The core objective of the app will be the one-on-one matching of the members of these two groups, for getting the design jobs done. With the advancement of age, every person needs that extra bit of care and attention. The breakneck speed of the modern society does not, however, always allow children to provide that type of attention to their elderly parents. We can conceive the idea of a new app that would help old people perform all the basic activities with ease – right from booking a health check-up session and planning the daily diets, to generating reminders for taking daily medicines, booking groceries, paying utility bills, and the like. Apart from making life easier for the aged users, the presence of the app will also help the working sons/daughter to worry less about their parents. There will be an emergency contact tab in the app, tapping which will ring up either a designated doctor, or the children of the senior citizens. Company of sons and daughters is still the best thing for parents – but it is not always possible, and this app can be the next best alternative. When it comes to personal health, there are literally hundreds of fitness and wellness apps out there. If we put the same attention on the ‘fitness of our automobiles’, we would definitely receive boosts in terms of both performance and longevity. An app can be created (supported by specific car APIs), that will be able to communicate with drivers as well as the dashboard/system of connected cars. The built-in GPS functionality of the app will help users track the miles-per-gallon (mpg) stats being maintained by drivers in the locality – and what the optimal ‘mpg’ for your vehicle model should be. Information will also be provided on driving best practices – for helping drivers attain their ‘target mpg’ levels. Again, social connectivity can be integrated – with a person getting the option to connect with owners of same/similar vehicles. The app will also double up as a navigation support tool. Seasons change, and it can be a tricky task to keep up with everything that changes with them. This app should prove to be handy in this regard. After auto-detecting the location of the user, the app would show all the information about the different seasons in that place – like temperature levels, dressing options and trends, recipes, places to visit nearby (say, within 150 kilometers). Health tips relevant to the different seasons can also be shared, along with season pictures (say, a snow-capped mountain peak or a frozen lake in winter, colorful flower gardens in summer, etc.). How about reliving one season when another one is on in full swing? The application will offer that opportunity too. Delicacy is the name of the game when you nurture anything – from a houseplant to the relationship with a special someone. Instead of making yet another mobile relationship tracker (we had already worked on one such app – Rapport Card), it would be a cool idea to build a task-oriented relationship nurturing application. There will be a virtual plant, and a set of instructions generated at various times of the day (‘Wish good morning’, ‘Give a bear hug’, ‘Buy a present’, etc.). On completing a ‘task’, the user will tap on the concerned tab – and the plant will grow a little. In this manner, as the romantic attachment grows stronger, the plant will develop in a healthy manner (missing a task will cause it to wither a bit). The onus, of course, will be on the users to ensure that they do not end up spending more time on the app, and less with their partner. It will be, after all, only a support tool for your relationship. On the various online forums, debates on a myriad of topics rage on. How about bringing such debates on the mobile platform, and making them more systematic? Different topics will be listed in the app, on which live debates are going on – and users can simply enter their names and information on whether they are for or against the motion – to join up. Upcoming debates can be listed as events, allowing people to join after doing the necessary preparation. There can be a ‘Help Me Out’ button, which will offer 1-2 information points, in case a debater is suddenly at a loss. For security reasons, the debate chats will be recorded and stored in the app database. Users will also be able to report others in cases of misconduct. The IoT domain is really spreading wings, and there are possibilities galore to come with new apps for smart agriculture practices. Studies are going on for creating advanced applications powered by LoRa technology, for establishing connections for smart cities. As far as parenting apps are concerned, a piece of mobile software that serves as a countdown timer for different activities – time to study, time for meals, time to go to bed, etc – should be helpful. Apps with virtual pets (‘My Talking Tom’, anyone?) are also popular, and fresh new twists can be put on them as well. At the end of the day, coming up with a new app idea is not about reinventing the wheel. In case your ideas are too unique, you will only end up alienating your users. If there is a good app concept – chances are that it has already been worked upon by someone, and the trick lies in coming up with improved versions – with greater features and functionalities. We are planning to work on some of the ideas in this list soon enough. Any other new app idea that you feel will be worth investing time on in 2018? 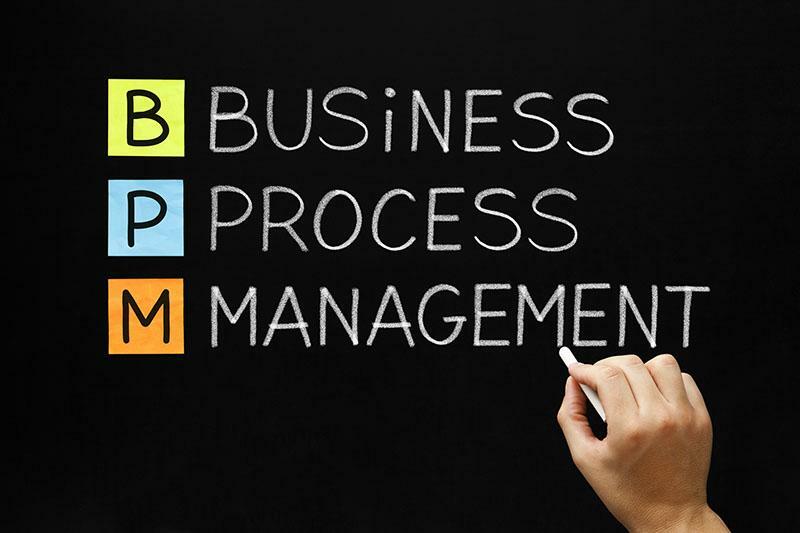 Business process management focuses on the design and observation of business processes in an effort to find way to improve them. In today’s world, we have seen a lot of business processes swapped over to digital format. Then we bring in blockchain technology to change the landscape even further. Blockchains offer a truly unique method of executing business processes in a secure manner. This post is going to look at some of the ways that blockchain technology factors into digital business process management. We’ll look at some of the opportunities that the blockchain brings, as well as the challenges now facing businesses. The management of connections between business processes is referred to as strategic alignment. The goal of strategic alignment is to provide actionable steps that can be taken to boost overall performance. Blockchain technology allows businesses to flip the traditional “process follows strategy” equation, but this won’t work for all business models. It’s up to you to determine whether or not this is beneficial. Governance of data is different with blockchain technology than it is with traditional practices. Let me try to explain. 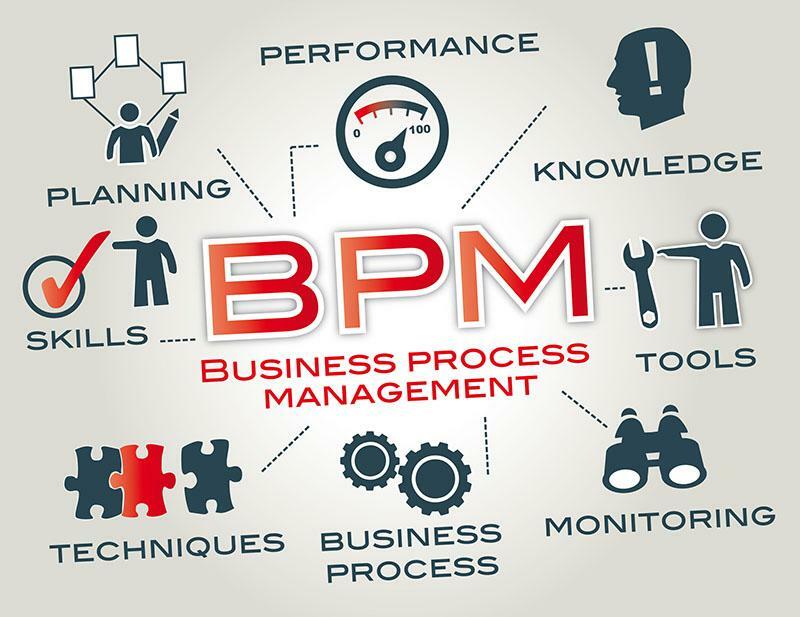 Traditional BPM governance provides accountability for the roles of specific data. For example, some data might be used to help improve marketing while other data is used for making decisions related to stability. Blockchain completely changes data governance. Within blockchain systems, it’s theoretically impossible for any business process to be violated because the network operates on a decentralised network. Algorithms check and verify the history of the public ledger. Since the network consists of different nodes, it’s not possible to violate all of these ledgers. My point is that blockchain enabled contracts would automate much of the overall process. First, every node within the blockchain must contain complete transparency. Therefore, it’s not suitable for certain sensitive financial processes where security is of paramount importance. Centralized systems offer greater security. Secondly, each node within the blockchain must record every transaction. This consumes quite a bit of computing power, making it inefficient for certain processes. The biggest risk for all companies right now is that DAOs are able to compete against many established processes that are currently in place, including human resources and customer service management. Blockchain technology is capable of impacting traditional businesses and the way they view themselves. As artificial intelligence starts to take over certain business processes, blockchain technology can quicken the birth of networked organisations, reduce overall transaction costs, and require fewer levels within an organisation. Overall, we will start to see more efficient planning and reporting as blockchain technology takes its rightful place in business process management. Consider the value of having a truly decentralised source to report data, with information being verified across multiple nodes for accuracy. While we certainly don’t have all of the answers right now, one thing is for certain. Business leaders are going to have to learn how to incorporate this technology into their overall processes as new methods of doing business emerge. We will start to see many non-core tasks become automated through the use of smart contracts. Blockchain technology creates a new outlook on BPM by providing new methods of automation and new ways to authenticate processes.